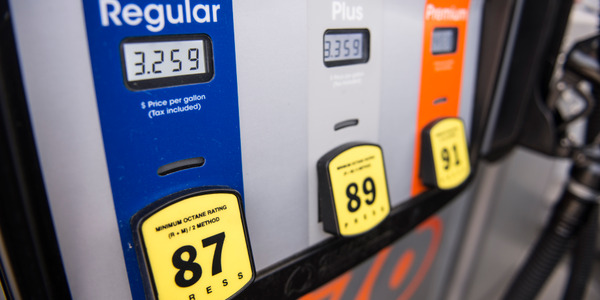 The nation's average price of unleaded gasoline reversed six weeks of rising prices and fell 3.4 cents to $2.453 per gallon for the week ending March 16, according to federal data. 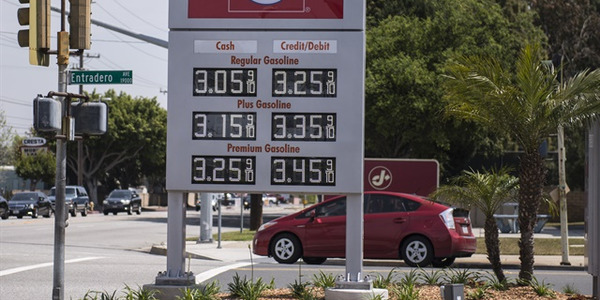 Gasoline now costs $1.094 less than it did a year ago, and fell in eight of nine regions tracked by the U.S. Department of Energy. The sharpest decline came on the West Coast where the price fell 6.6 cents to $3.116. 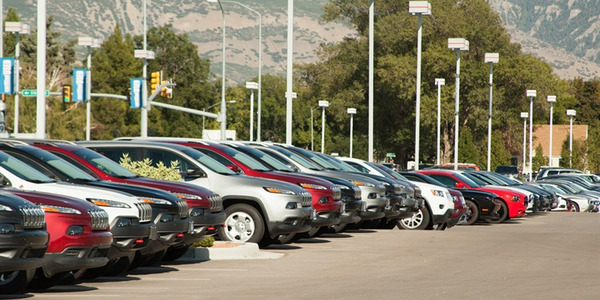 The price rose 5.6 cents to $2.288 in the Rocky Mountain region. 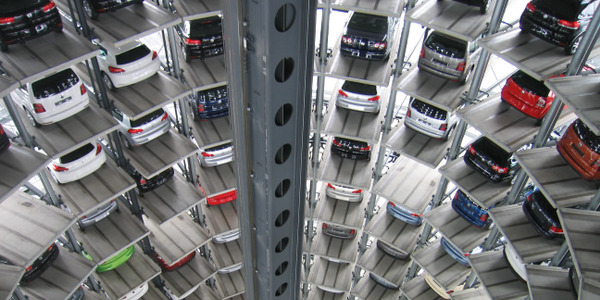 Prices also fell in the states as tracked in the AAA's Daily Fuel Gauge Report. California remained at the top of that list at $3.369 per gallon with Hawaii ($3.141) also above the $3-per-gallon level. 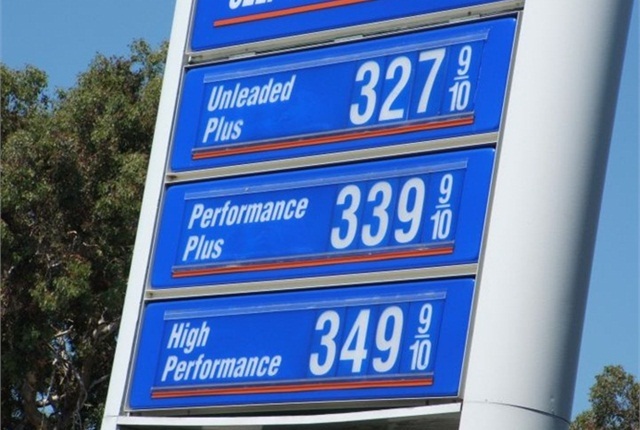 Gasoline in nine other states costs at least $2.50 per gallon. 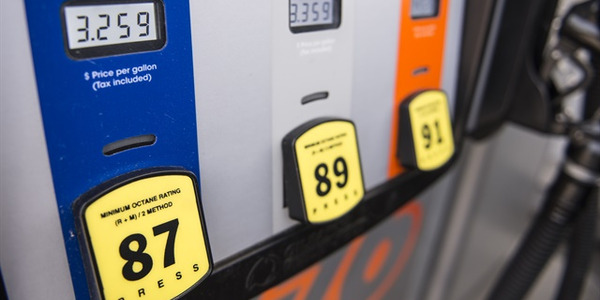 Four states have gasoline cheaper than $2.20, including Alabama ($2.189), Tennessee ($2.188), Indiana ($2.187), and South Carolina ($2.14). 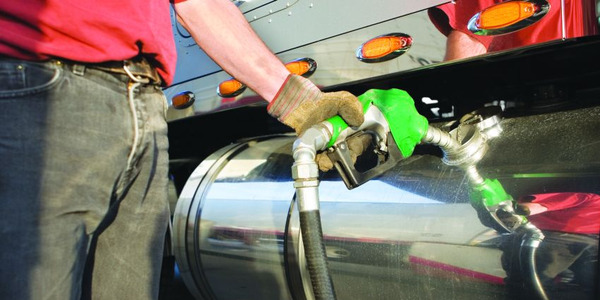 Meanwhile, the average price of a gallon of diesel fuel fell 2.7 cents to $2.917. Diesel now costs $1.086 less than it did a year ago.